The Kingdom of Jordan is steeped in history. Archaeological evidence is constantly bringing to light signs of habitation from the dawn of history to the present day. In 331 BC, the armies of Alexander the Great conquered the Near East, introducing Hellenic culture to the area. Upon Alexander’s death in 323 BC, the Greek Empire was divided between his two generals. Jordan, Palestine and Egypt were given to General Ptolemy. Between 400 BC and 160 AD, the Nabataean civilization flourished in the southern part of the Kingdom. The awe-inspiring Nabataean capital of Petra is now Jordan’s most popular tourist attraction. Jordan was part of the Roman Empire between 63 and 324 AD. A league of ten cities, known as the Decapolis, was established at this time to facilitate the area’s trade and commerce. 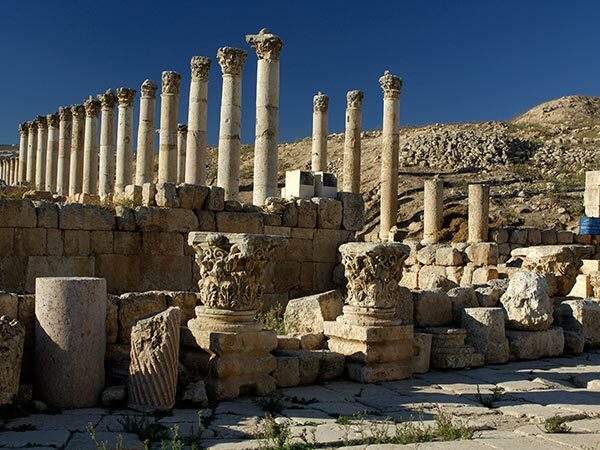 Four of the best known cities in Jordan, Jeresh, Philadelphia (now Amman), Umm Qais, and Pella were part of the Decapolis. During the Byzantine period, 324 to 632 AD, the inhabitants of Jordan offered crops and livestock from their farmlands to sustain travelers on the caravan routes which linked China, India and southern Arabia with Egypt, Syria and the Mediterranean. 630 AD marked the beginning of the Arab-Islamic era. The area was ruled for two centuries by the Umayyad and Abbasid dynasties of Baghdad and Damascus. In 1099, the Crusaders arrived in Jerusalem, establishing themselves by building two castles in Jordan at Shobak and Kerek to protect their conquests. In 1187, Salah al Din (known as Saladin) defeated the Crusaders at Kerek and forced the Crusaders to withdraw completely from the Near East. A 300-year rule by the Mameluks followed, after which Jordan became part of the Ottoman Empire. This period came to an end with the famous Arab Revolt, between 1915 and 1918. 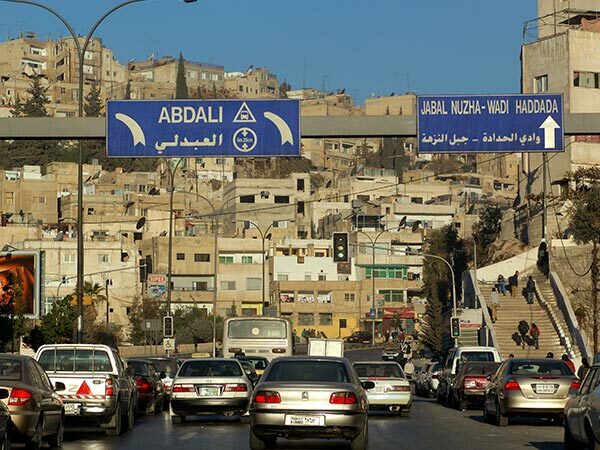 Jordan’s modern history dates from 1921, when Emir Abdullah, the second son of Sherif Hussein, established the Emirate of Trans-Jordan as a self-governing territory under British mandate. The current ruler, His Majesty King Abdullah II, is the 43rd generation direct descendant of the Prophet Muhammad.